Branch out a little and explore different genres. You might be pleasantly surprised and will add another author to your favourites. – ReaLITy eg The fault in our stars by John Green. Fantastic site here for titles. 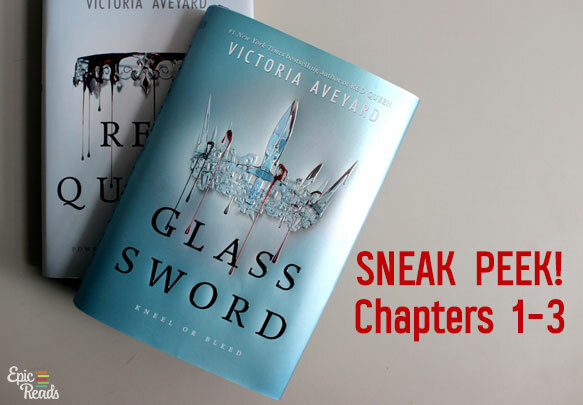 Read free chapters such as the first three chapters of Glass Sword by Victoria Aveyard. Try this site for recaps of old favourites including Jane Eyre, Lord of the Flies, Frankenstein, Romeo and Juliet, To Kill a Mockingbird, The Crucible. You can even make your own recap, request a recap and start discussions. Great tool for school too! Booktrust is filled with reviews, author interviews, recommended reads for teens and literary awards. Give it a go! We love to make lists and share them around. Find them at the library, on the internet, make your own and share with us. Here’s one – the Teens’ Top Ten is a “teen choice” list, where teens nominate and choose their favorite books of the previous year! Find 2015 here. Try teenreads for new titles and reviews. There is no other award in Australia that reflects what teenagers want to read more than the Inky Awards. These are international awards for teenage literature, voted for online by the readers of insideadog.com.au. Try the books for older readers in the Children’s Book Council of Australia awards. Holly Black, author of The coldest girl in Coldtown, maintains a very comprehensive site of suggested reading. Cassandra Clare author of The shadowhunter chronicles keeps a great list of fantasy book recommendations. Rick Riordan author of the Percy Jackson series is often asked for his recommendations and offers two sites here and here. Try some of these online programs to help select your reading based on your preferences. Providing reviews for over 135 000 titles Novelist also includes Author Read-alikes and Book Discussion Guides. Information on over 350,000 books. Discover new writers you will like, travel the map of literature and discuss your favorite books and authors. Each author may seem to have a unique style but you can find similar reads to your favourites here. Or Google who writes like and choose your own favourite site. Record your reads and favourite genres in Goodreads and receive surprisingly insightful recommendations. 9. Is the latest movie a book? Do you prefer to put your earphones in, close your eyes and lay back in bed and listen to a book? Browse the collection and get your library card ready to download a FREE audio book from here and listen offline at your leisure.